How do you feel when you contemplate the idea of changing the way your organization operates? Scared? Jaded? Excited? Your answer—and the answers your employees give—to this question reveals how difficult it will be for you to pursue Digital Transformation and DevOps. 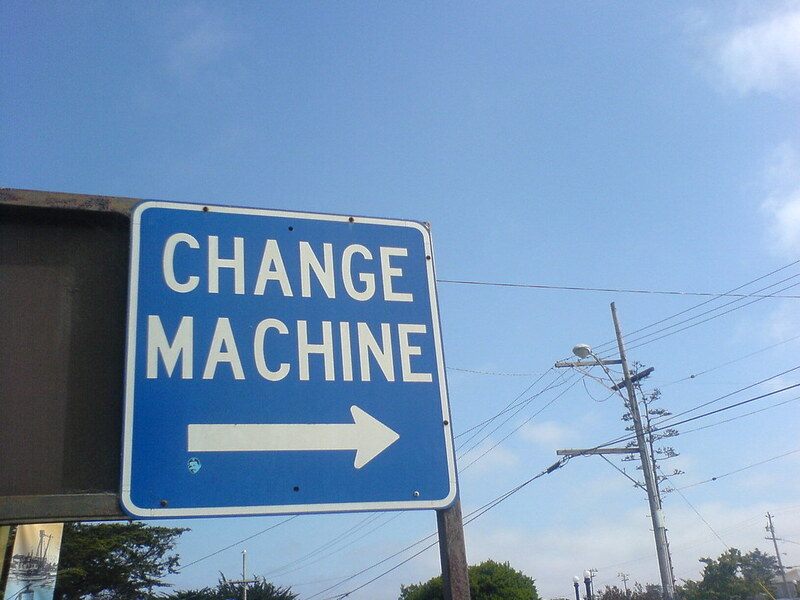 This photo, “change machine,” is copyright © 2009 tracyshaun and made available under a Creative Commons Attribution-ShareAlike 2.0 Generic License. Pathological culture: Change is fatal. Bureaucratic culture: Change is futile. Generative culture: Change is fertile. DevOps and Digital Transformation demand new ways of operating, and your organizational culture will determine your success. If your organization feels that change will be fatal, your transformation will require intensive expert help. If the feeling is that change will be futile, your transformation will be merely difficult (and expert help is still warranted). And if the pervasive feeling is that change is ground for excitement and innovation, then you have already slain the main bugaboo of change.